Fish, tea, and dog poo. 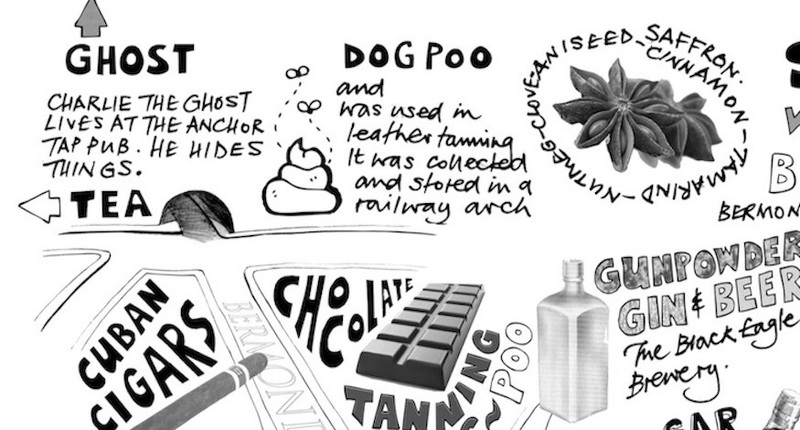 Just some of the smells you may have encountered while walking the streets of Bermondsey past. 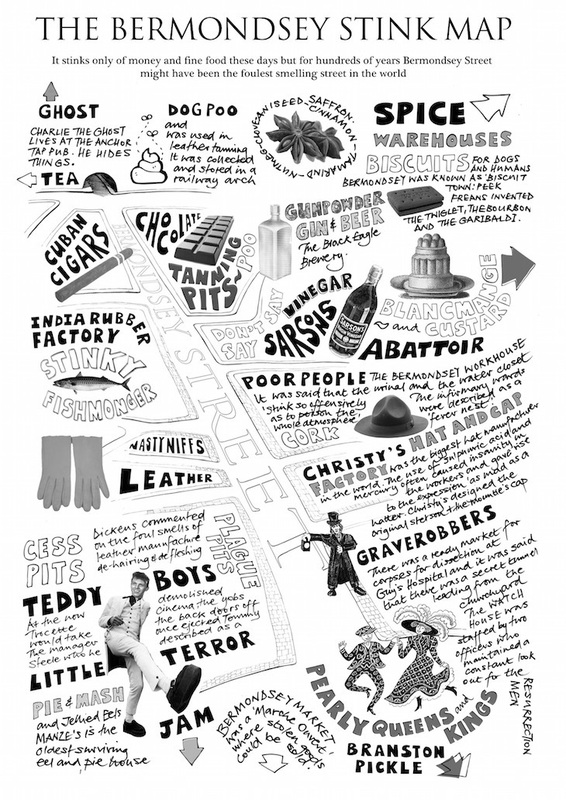 The area has been home to tanneries (hence the dog poo, which was used to colour the leather), biscuit factories (Peek Freans invented the bourbon and garibaldi), and breweries, all of which bring their own odorous offerings. See below for a full version of the map. 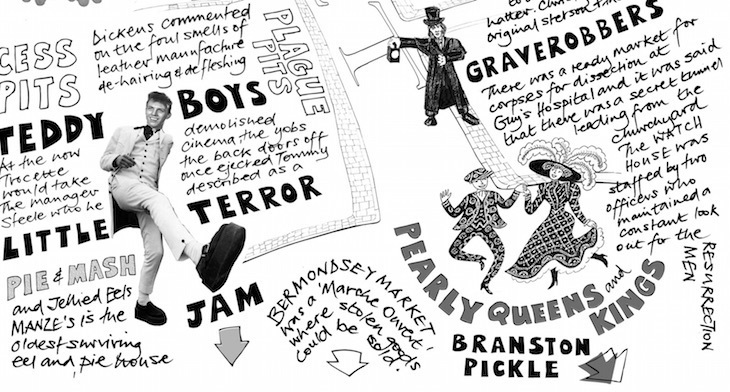 Buy your own copy, and browse other Bermondsey artwork, including some fantastic illustrations of the area.